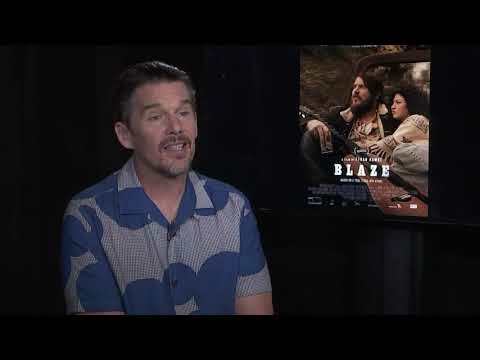 LOS ANGELES (AP) — Ethan Hawke had long been enchanted by the songs of mysterious singer-songwriter Blaze Foley. Foley wrote songs like 'If I Could Only Fly," that Willie Nelson covered and would go on to become a Merle Haggard hit, and "Clay Pigeons," which John Prine covered. Townes Van Zandt and Lucinda Williams wrote songs about him after his death at age 39 — he was shot in 1989. And yet his is a name that few outside of the Austin music scene would know. BAKERSFIELD, Calif. (AP) — A warning sign that tallies the number of people who have died in the southern Sierra Nevada's Kern River will be raised by 15 this month to reflect last year's fatalities. The sign along Highway 178 at the mouth of the Kern River Canyon northeast of Bakersfield currently says 280 lives have been lost since 1968. The Kern County Sheriff's Office said Monday the 15 lives lost in 2017 tied the all-time record set in 1985. WorldFest, one of the country’s oldest film festivals, returns Friday for its 51st edition, and there’s one big change this year: the venue. 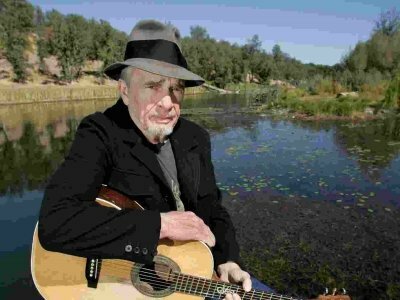 BAKERSFIELD, Calif. (AP) — About 300 people turned out in Bakersfield, California, to celebrate the naming of a post office for Merle Haggard in his hometown. Willie Nelson may have been forced to take January and February off to recover from the flu, but that’s not affecting his studio output. 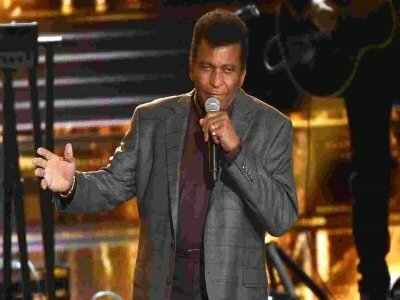 His new album, Last Man Standing, is set to be released April 27, just two days before his 85th birthday. 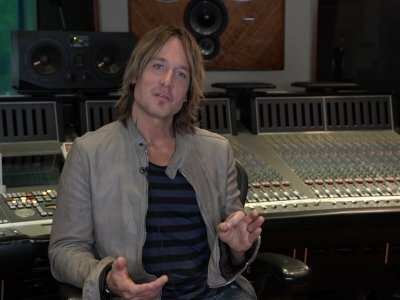 The all-new collection is made up of eleven tracks Willie co-wrote with his longtime collaborator and producer, Buddy Cannon, who’s also well-known for his work with Kenny Chesney. NASHVILLE, Tenn. (AP) — Country singer Daryle Singletary, who sang songs like "I Let Her Lie" and "Too Much Fun," has died. A publicist says Singletary died at his home in Lebanon, Tennessee on Monday at 46. The cause of death is pending. Funeral arrangements will be announced later. NEW BRAUNFELS, Texas (AP) — Want to hit the road like a country music icon? You'll get a chance next month when Merle Haggard's tour bus goes up for sale in Texas. Burley Auction Gallery in New Braunfels will hold an auction on Feb. 10 featuring a 2008 Motor Coach Industries bus used by the late musician. BISMARCK, N.D. (AP) — There's a hole worn through the handle of Blaine Lutz's black leather case — it stands as a testament to its years of service. It looks like a doctor's bag but inside are the tools needed to make a piano sing. Over the span of a more than 35-year career, Lutz has tuned pianos for some of the biggest names in music: Bob Dylan, Johnny Cash, The Eagles, Eddie Rabbitt, The Statler Brothers, George Jones, Merle Haggard, ZZ Top, Conway Twitty and Lawrence Welk. NEWPORT NEWS, Va. (AP) — If it was summer, a younger Sean Pepe and his friends could end up at the Boathouse three times in one month. "We talk about some of our fondest memories, driving to Norfolk to go to a Boathouse show," Pepe said. The warehouse-like Norfolk music venue was considered legendary, offering a stage for the likes of Merle Haggard, Violent Femmes, Tina Turner, Jane's Addiction, No Doubt, Jay-Z and Slayer. NEW CARLISLE — You’ll Dew will be playing at Moser’s Austrian Cafe, 201 Michigan St. New Carlisle, today from 6:30 to 9:30 p.m. Eastern time. Reservations are accepted. Call (574) 654-0086 or email them to jenmoore3@earthlink.net. You’ll Dew consists of Steve Gurndt singing lead and playing guitar, Tim Cunningham singing harmony and playing Mandolin and Rick Schpok playing the Dobro style slide guitar. With more than 30 albums under his cowboy belt, Johnny Bush decided some of the hundreds of songs he has recorded did not get enough love. So he knocked the dust off a slew of them and headed into BGM Studios to breathe new life into some of his favorite cuts. The result is “The Absolute Johnny Bush,” a 20-song album released in June that features duets with his friend and mentor the late Ray Price, honky-tonk legend Dale Watson and country rockers Reckless Kelly. The darling of Nashville, Mary Sarah, is coming home. She will be the 2017 grand marshal of the Fort Bend County Fair's Parade on Friday, Sept. 29. The pride of Fort Bend County has already appeared on the Grand Ole Opry and has a duet album featuring icons such as Dolly Parton, Tanya Tucker, Willie Nelson and the late Merle Haggard. Mary Sarah, 22, will be headlining at this year's fair on Saturday, Oct. 7. She is excited to be playing before her hometown crowd. 1961 - Born on this day in Dayton, Ohio was bassist Dana Williams from Diamond Rio, (originally known as the Grizzly River Boys). Their 1991 single "Meet in the Middle", made them the first band ever to send a debut single to #1 on the Billboard Hot Country Songs charts. CHARLOTTE, N.C. (AP) — Inside the Thirsty Beaver on Central Avenue, Pabst Blue Ribbon flows from cans and Merle Haggard flows from the jukebox, even as workers just a few feet away cocoon the building with a new five-story apartment development. Will the nation’s truckers be replaced by robots? “It takes a special breed to be a truck drivin’ man – and a steady hand to pull the load behind.” – Merle Haggard. 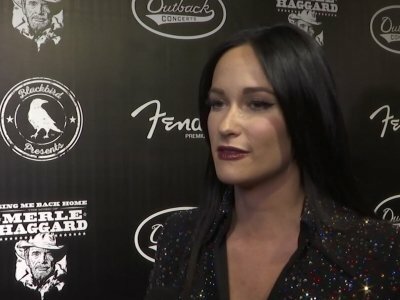 Jaime Wyatt didn't have to sing a flawless cover of the Merle Haggard classic, "Misery and Gin," at the end of her new album to prove that she's lived a little bit. But she did, and she has. It's written all over everything she does. If Merle Haggard is the defining voice of country music, Jay Farrar might be the artist you'd turn to if you had to explain the Americana genre through the work of just one singer. David Carroll: Get Thee Behind Me, 2016! I've read comments from so many people that proclaim 2016 as a terrible, awful year. About half the country is in a bad mood because of the presidential election. When the popular vote is split almost 50-50, I guess the widespread anger should be no surprise. If the election had gone the other way, the other half would be ticked off. LOS ANGELES (AP) — Neil Young is Dan Rather's first guest for the new edition of Rather's series, "The Big Interview." Young will be featured on the Sept. 13 episode airing at 8 p.m. EDT on AXS TV, the cable and satellite channel said Monday. The singer-songwriter discusses his new album, "Earth" and topics including his childhood polio and his experience with the band Crosby, Stills, Nash & Young.